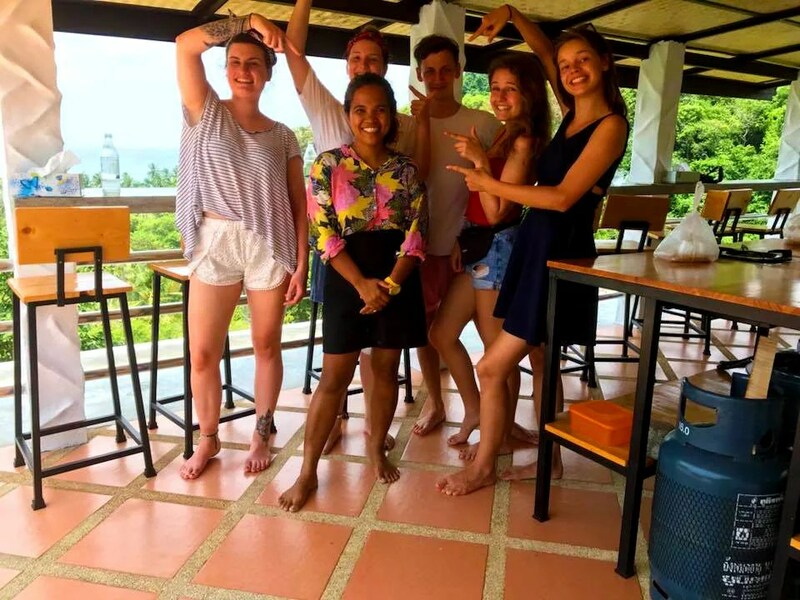 After years of renting space for our cooking students at restaurants and even other cooking schools, we are very proud to have now our very own premises for our cooking school on Koh Tao. Building the cooking school ourselves enabled us to bring in the years of experience teaching Thai cooking at all the different places we were using before. We decided on 6 cooking stations. 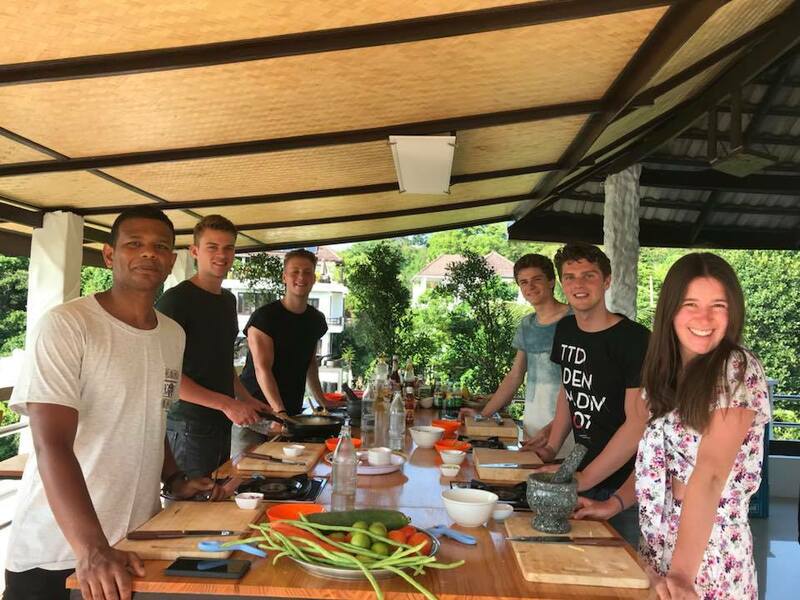 Every student of our cooking classes, which are limited to 6 participants, is able to prepare the dishes completely themselves. One of the experiences we had from our former places is, that stove tops and work tops in Thailand are hardly ever ergonomic. So special attention was paid to create the height of the work spaces after European standards. We are giving you the choice between the traditional, simple Thai woks and modern Teflon coated woks from Tefal™, which we expect to be similar to the cookware used at home by our customers. 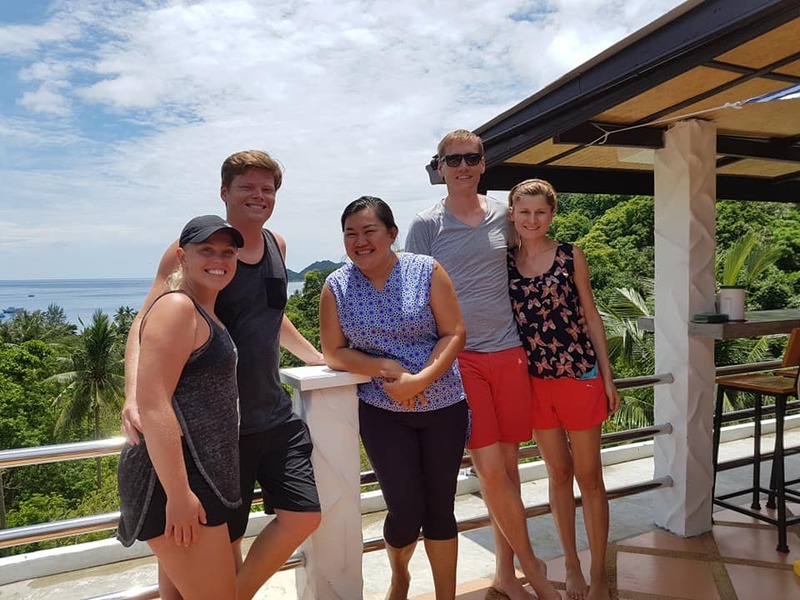 Right aside our cooking stations is the eating bar to sample the cooked food right away after preparation with a breathtaking view over the Gulf of Thailand with Koh Nang Yuan. To be able to provide all year round service and keeping the quality of our tuition on the usual high level we are operating now with 2 teachers. Joy is still doing the majority of classes, but is taking now a day or two off per week. For more information about her and the cooking schools history check out our “Meet the chef” page. With our new cooking school teacher Por we managed to get another highly skilled cooking professional. A native Thai bringing in the knowledge of the area she is coming from: The Isan Thai cuisine. Married to an Englishman and being in the hospitality business for nearly 2 decades makes sure that she has similar communication skills as Joy herself. Did we mention that the location is stunning? We are very happy to have found this gorgeous place, which is centrally between Mae Haad and Sairee. It has a great view but there is no grueling hike up the mountains. To have a look at our cooking class program please click here and for inquiries and booking contact us here.